We had the pleasure of attending Toronto Beer Fest a few weeks back. food offerings. Plus, what’s better than an outdoor festival in the sun, with tasty local and international suds? We tasted beers from all over the place, and there are so many that we enjoyed. It was tough, but we narrowed it down to our three favourite breweries. The style of this booth (and the beer) was exceptionally colourful and fruity. flavourful hoppy beer. You can often find us downing a pint of this at 416 Snack Bar for some post-work stress relief. “Do one thing and do it well”, is the motto of this brewery. 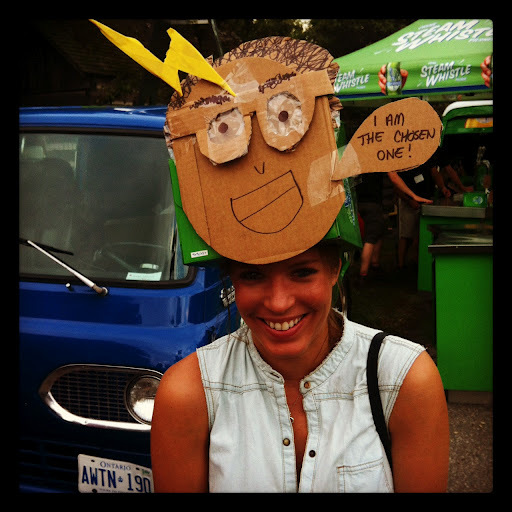 Not only is the beer refreshing, we had fun wearing the Steam Whistle box hats around the park, which have been a part of the experience at Toronto’s Festival of Beer since the brewery’s inception. Evidence below. Based out of Tokyo, their rice lagers are very dry and extremely drinkable. Not only good for a visit to your fave sushi restaurant, the beer is perfect for a trip the cottage. Plus, for our wheat intolerant friends, this is one gluten free beer that doesn’t taste like a compromise. peanut butter, bacon and pulled pork. Sounds odd, tastes, well…. gorgeous. and crispy buttered bun. Drool. 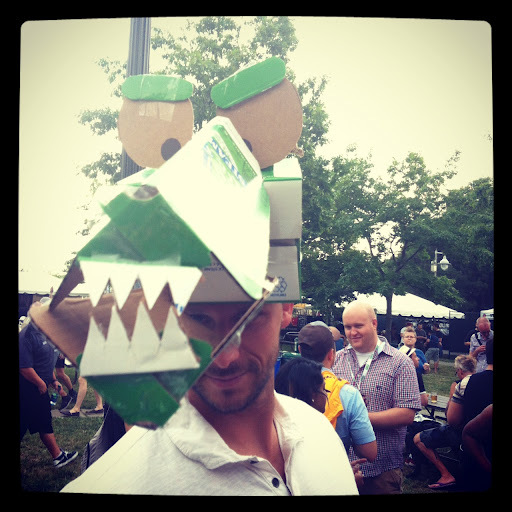 Make sure to keep your eyes on the http://www.beerfestival.ca for regular updates about next year’s fest. You can bet your bottom dollar we’ll be there again!